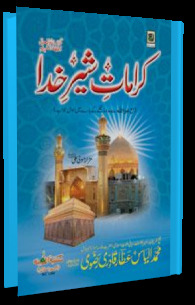 Dawat e Islami's books are very good must read. السلام علیکم I Love Dawat e Islami اللہ عزوجل Karam Aisa Kare Mujh Pe Jahan Me Aye Dawat e Islami Teri Dhoom Machi Ho آمین I Downloaded The Above Book Karamate Shere Khuda. I Like This Too Much. I Like The Effort Of Dawt e Islami.